Combining stylish design with cutting-edge tech, Google Pixel is the smartest phone on the block. Boasting the purest Android experience available on mobile, Google Assistant always on hand to help, and limitless storage thanks to Google Photo, this is a phone with a lot of tricks up its sleeve. 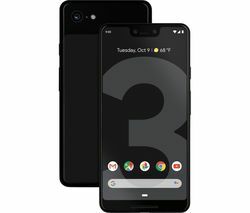 Google Pixel phones launched in late 2016. 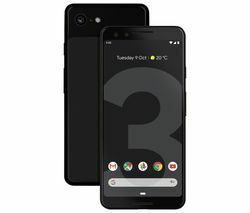 The brand’s latest incarnation, the Pixel 2 and larger Pixel 2 XL, are Google’s latest flagship smartphones and launched in late 2017. Highlights include the stunningly vibrant AMOLED screens with always-on displays that offer twice the resolution and 10x the contrast ratio of standard LCD screens. Choose from the 5” Pixel 2 and the larger 5.5” Pixel 2 XL, which offers an 18:9 FullVision display. There's a squeezable active edge on both models that instantly calls up the AI-powered Google Assistant. This gives you gives you instant access to your favourite phone functions with a simple squeeze of the phone. You can take a selfie, send a text, turn on Bluetooth, navigate home and more – all with your voice. The Pixel Imprint fingerprint sensor means you can unlock instantly and access apps and purchases more securely. The Google Pixel phone also delivers stunning camera capabilities, scoring the highest ever recorded rating for a smartphone camera by DXOMark. Featuring an improved 12-megapixel camera with dual-pixel autofocus, HDR+ and smooth 4K Ultra HD video capture with image stabilisation, you can take DSLR-quality photos, even in low light. Even better, unlimited photo storage thanks to Google Photos means you’ll never run out of space. Add to this Google Lens, which gives you a whole new way to search and explore the world around you through your smartphone camera, with augmented reality adding interactive characters and playful emojis into your everyday world. Google Pixel is a phone that sets you up for the future and ensures you’re the first to access Google’s Android OS updates. For a wider selection of smartphone prices and features, take a look at our full smartphone selection, which includes the latest Alcatel mobile phones and Apple mobile phones.